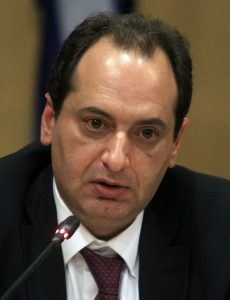 Message by the Minister of Infrastructures and Transport – ΑΤΤΙΚΟ ΜΕΤΡΟ Α.Ε. The implementation of an extensive public investments plan is not only our strategic selection, but also our decisive response to depression and unemployment. Restarting the major public projects is a key prerequisite for restarting real economy and the country’s production structure. In this framework, we turned into reality the resuming of Thessaloniki Metro, the most important project in terms of transport, development & environment currently implemented in the city. Thessaloniki Metro improves the quality of life of the citizens offering concurrently a modern and high standard infrastructure network, which was absent for many decades. Thessaloniki Metro Base Project, i.e. the construction of 9.6 km of Metro line (tunnel boring at 82%), 14 stations, a Depot and an Operation Control Center, is expected to be completed in 2020. 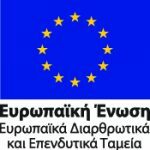 Concurrently, the extension to Kalamaria is implemented, which includes a double track underground line, 4.77 km long, with five underground stations, a project that changes the transport chart of Thessaloniki urban complex. Worthy of the city’s history, 13,000 archaeological finds were unearthed in the framework of the most extensive archaeological excavation in Northern Greece, extending at an area of 20,000m2, while the construction of VELIZELOU station demonstrates beyond any doubt our will for the harmonious blending of infrastructure projects and our archaeological wealth. At the same time, we expand the network of infrastructures in the major urban centers of the country generating new job opportunities and added value for the local communities. The extension of Line 3 to Piraeus is currently under construction, a project that will address, once completed, the lingering transport problems in that area. The construction of 6 Metro stations gives a decisive push to underprivileged areas, while the country’s first port is directly linked with the Athens International Airport (total travel time of 45 minutes), generating multiple benefits to the country’s tourist industry. Piraeus becomes a major transport node by bringing together two Metro lines (Line 1 and Line 3), the Port, the Suburban Railway and the Tramway extension to Piraeus, creating thus a grit of transportation means. As far as Athens is concerned, the construction of Line 4 is currently designed, a line that will cover a major portion of the capital’s urban web, spanning from Maroussi to Kessariani and Goudi. The budget of the new line is 3.3 billion Euros, its length 32km with 30 modern stations (5 of which will be transfer stations); this line is estimated to serve 530,000 passengers on a daily basis. This is a farsighted and significant project, since it crosses areas currently lacking in modern infrastructure, supplementing the existing transport networks and improving public transport. Feeling confident about our potential and utilizing our know-how and human resources, we create new infrastructures and improve the citizens’ daily lives. We build a better tomorrow from everyone.